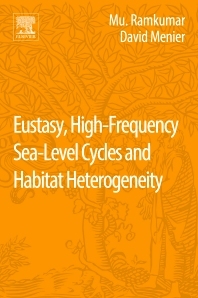 Eustatic High-Frequency Sea Level Cycles and Habitat Heterogeneity: Basinal-Regional-Global Implications presents the current understanding and future directions of the research on Cretaceous sea level cycles in a single source. This reference work is for beginners, graduates, and postgraduates who are interested in the subject and intend to venture into serious research. This hybrid text/reference is for beginners, academics, and professionals who intend to document sea level dynamics on long and short time scales and resultant habitat and paleobiodiversity changes. Dr. Mu. Ramkumar obtained his B.Sc. and Ph.D. from National College, Bharathidasan University, masters in geology from Annamalai University. His research interests range from Recent–Paleozoic depositional systems and integrated sequence–chemostratigraphy, and basin evolution. He has published about 100 articles author of 5 books (Cretaceous Sea Level Cycles, Marine Paleobiodiversity, Habitat Heterogeneity, Chemostratigraphy, River Basin etc.) and editor of 6 books published/in press by Elsevier, Springer, Wiley etc. He is a member of National Working Group on IGCP−609 Cretaceous Sea Level Cycles. He worked as research team leader and member in national international labs in India, Germany, Malaysia, France. He was the recipient of the prestigious Alexander Von Humboldt Fellowship, Visiting Scientist (thrice), Germany, Visiting Professor (France), Young Scientist (twice), Government of India, and was included in the Marquee's Who's Who directory (USA) for 5 consecutive years. He was nominated for the prestigious Merh Award (Geological Society of India) for his work on Geomorphology. He serves as a member in review and editorial panels of about two dozen international geological journals. Dr.David Menier is Associate Professor and holder of Professorial Diploma (2011) of Stratigraphy and Seismic Stratigraphy at University of South Brittany. He obtained B.Sc. in Biology and Geology (1993), M.Sc. in Biology (1995), Agrégation and CAPES (Teaching certificates, 1996) in Earth Science and Natural Sciences, M.Sc in Earth Sciences (1999), and PhD in Earth Sciences and Marine Geosciences (2003) from Rennes city University, France. He was Head of the Earth and Life Science department at the University of South Brittany (2004-2009) and Research Team Leader (2010-2012, GMGL, CNRS UMR 6538). He has supervised few dozen masters student projects and 10 doctoral research students. He specializes in Seismic Stratigraphy, Sequence Stratigraphy and Sedimentology (both clastic and carbonate). He ran numerous shallow marine seismic surveys and coring campaigns along the French Atlantic passive margin coasts (Bay of Biscay) and the Strait of Malacca, where he was also chief scientist. He has worked in the field in Morocco, South Africa, and in Asia (West and East Malaysia). His research interest ranges from field scale process-oriented studies to large-scale models to explore how coastal and shelf systems respond to changes in relative sea level and climate. He has published 3 books, about 120 papers, abstracts, in different national and international peer-reviewed journals. He serves as reviewer of 10 major geological journals. He is a recipient of a yearly bonus for scientific excellence (2009-2013 and 2015-2019) from Ministry of Higher Education and Research, France.